•Completely hooded for better GMP conformity. •Container easy to remove and empty. 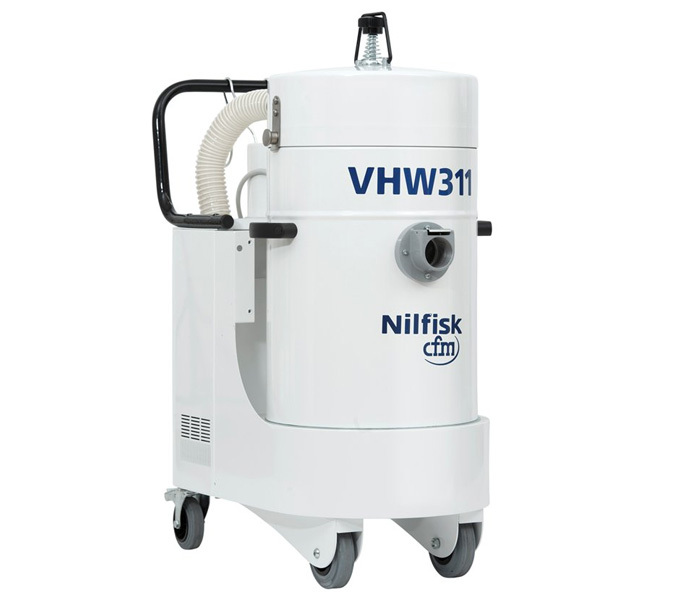 Nilfisk VHW 311 is a full optional industrial vacuum. Completely hooded, it is easy to clean and sanitize. High-end fixed industrial vacuum, for severe pharmaceutical, food, chemical, packaging and OEM needs ideal to be used on process machines (e.g: integrated on the machine or in a technical room). 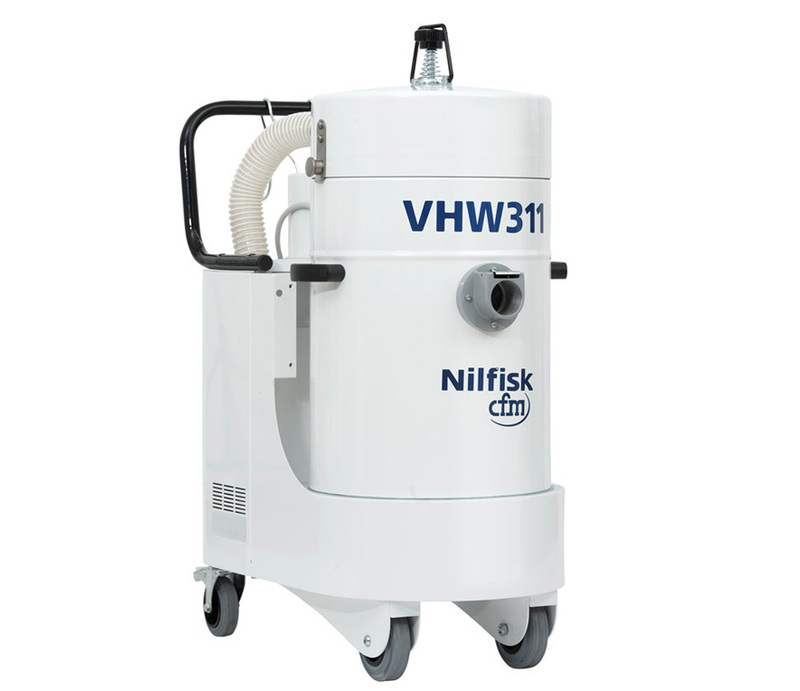 Designed into compliance with GMP requirements, it is suitable for treating small quantities of dust or trimming materials. The 1,5kW motor ensures high performances and the vacuum meter allows to keep the filtration and vacuuming efficiency under control. It can be quickly upgraded with wheels and handle, so as to become a real mobile industrial vacuum.